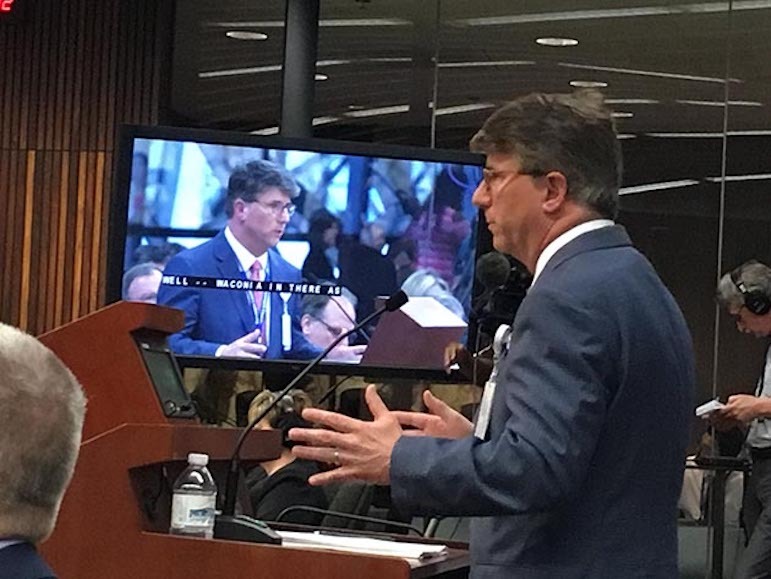 Hennepin Healthcare Chief Medical Officer Dr. William Heegaard testified June 26 in front the Hennepin County Board about a halted study on the use of ketamine as a pre-hospital sedative. Photo via Downtown Journal. In a recent decision, Minneapolis City Council members voted 10 – 3 against funding an independent investigation of the Minneapolis Police Department after a report asserting that officers improperly encouraged Emergency Medical Services to administer ketamine to people in police custody. The investigation, recommended by Mayor Jacob Frey, was to be led by acting U.S. Attorney General Sally Yates and King & Spalding LLP, the Atlanta-based law firm where Yates is a partner. Find out the full story at Downtown Journal. At the Cultural Wellness Center in Minneapolis, executive director Atum Azzahir hopes to center culturally-informed mental health solutions for Black people and people of color. The center’s approach attends to historical trauma, racism and community-centered healing, making it quite different than mainstream mental health practices. The practice is intended to be holistic and spiritual as well. Find out more at Minnesota Spokesman-Recorder. Hoping to create a non-extractive financial model for Black people in North Minneapolis, Village Financial Cooperative hopes to open its doors in June 2019. The cooperative model, much like at a food co-op, means that members will own and derive benefits from the business. Additionally, with the support of Mayor Jacob Frey and several City Council members, the city of Minneapolis is hoping to allocate $500,000 to the business from the city budget. “We are making sure that we have credit unions that are owned and led by folks that are carrying the burden that the injustice that our current system has burdened us with,” said Director of Development Me’Lea Connelly. Get more info at MinnPost. "Bipartisan support, disagreement on funding" in the push for more teachers of color Recent budget proposals have fallen short of the lofty $80 million called for by a coalition to be spent on the Increase Teachers of Color Act. Indeed, the support for more teachers of color has received continued bipartisan support, especially at a time when “a third of Minnesota students are now children of color.” One of the impetus behind this bipartisan push harkens back to a law passed in 2016 requiring “school districts to evaluate their teacher pool with the goal of reflecting the diversity of their student bodies.” This was part of the state’s effort to address education gaps. De’Vonna Pittman, author and CEO at The Haven Publishing, and Jasmine Tane’t Boudah, author of Mothering Through Pain and Suffering in Silence, teamed up last year to offer a space for black literature artists to showcase their work, make connections and express their creativity to a wide audience. This year the MBAE is back in a larger space to give Black authors a place to share their art and talk to the community. When Myisha Holley, a mother of three living in St. Paul, went through a divorce, she looked for a therapist that could help her and her daughters work through their trauma. A new form of identification – municipal identification – will soon be implemented in Minneapolis. It is possibly a life-changing move for thousands in the metro area. This piece is part of Twin Cities Daily Planet’s series covering the 2018 elections season. Every year we’re moving towards a possibility of a more diverse legislature.